SAN FRANCISCO, October 15, 2014 – It has been another impressive year for the global Solar sector, where today more than 6,000 companies employ 143,000 people throughout the supply chain. But can this growth last? Baird Senior Research Analyst Ben Kallo, CFA, shares his thoughts on the outlook and potential headwinds for the Solar sector. Where is the cap on growth? Sector performance is strong, but should investors be concerned about a bubble? Kallo: The solar sector has experienced rapid growth over the past five years, but it is important to remember that solar energy comprises less than two percent of global electricity generation. We believe the overall solar sector should continue to grow at a rapid rate for the foreseeable future, driven by cost reductions, government subsidies, and renewable energy policies. That said, individual market demand will likely be volatile as renewable energy targets are reached or there are changes in government subsidies. This was previously seen in Italy when the country reduced its feed in tariff and solar demand fell from approximately 7.9 gigawatts (GW) in 2011 to approximately 3.4 GW in 2012. From this standpoint, investors should be mindful of where companies operate as changes in market demand can be rapid. We continue to believe companies with strong international pipelines and differentiated technology offer the best long-term investment opportunities. The Solar Investment Tax Credit is scheduled to decrease at the end of 2016. With the continued emphasis on “going green,” what is the likelihood that this credit is extended? If it is not, will that inhibit further industry growth? Kallo: The U.S. Investment Tax Credit (ITC) is scheduled to decrease from 30 percent of the fair market value of an installed solar system to 10 percent at the beginning of 2017. Currently, consensus is the 30 percent credit will not be extended, which is driving companies to reduce costs in preparation of the “step down” in tax credits. Although we expect a rush to complete projects by the end of 2016, the current pace of cost reductions provides confidence the solar market will continue to grow after the ITC is reduced, barring an unexpected increase in overall costs. Current cost reduction efforts are primarily focused on labor efficiencies, customer acquisition costs, and the balance of systems, which can comprise more than 60 percent of the total cost of a solar system. We expect companies to reduce overall costs by five percent or more each year through 2017, which should allow for a healthy U.S. solar market in 2017 and beyond. Additionally, international growth is accelerating as new markets continue to open with a lower solar levelized cost of energy (LCOE), which should provide strong growth opportunities for multinational solar companies. With that said, extension of the ITC is possible and could receive bipartisan support as it did when last extended. We think this would be a major boon for the industry as most participants do not believe there will be an extension. The ongoing solar trade war between the U.S. and China has increased domestic protectionist policies and threatens to raise prices. Do you believe the U.S. will continue to adopt solar energy at higher price points? Kallo: There have been several trade disputes across the solar industry over the past few years as the U.S. and EU have both adopted protectionist policies as cheap Chinese solar panels have weighed heavily on domestic panel producers. While we believe forms of protectionism such as tariffs and quotas do not have a positive impact on the industry, the price of solar panels now represents only an estimated 20 to 25 percent of a solar system’s cost compared to more than half of a system’s cost just a few years ago. Although these policies are not progressive for the industry, cost reductions in other areas of developing, financing, and installing solar systems should offset the increase in panel prices resulting from these policies. Furthermore, many companies impacted by these policies are working on measures to circumvent the tariffs and/or quotas. Are there any other headwinds in the solar market that investors should be wary of going forward? Kallo: As with many other industries, very low cost capital has benefited the solar industry’s growth over the past three years. Additionally, new forms of financing models such as YieldCos and Solar Asset Backed Securities have benefited the industry by helping to continue to drive down financing costs. A prolonged rise in interest rates would be one factor that could ultimately slow the industry’s growth. Another pitfall to watch for is a scenario where production capacity is overbuilt similar to what occurred to cause the massive glut in the industry during 2010 and 2011. Since the solar shakeout there has been significant rationalization in the industry, and today many manufacturers are running at full production capacity. Today a handful of manufacturers have announced capacity expansions, but potential overcapacity is a risk we monitor closely. Finally, while the solar industry has matured rapidly over the past five years, it is still an industry in its early days of adoption. Because of the industry stage, many risks are still being identified. We constantly monitor metrics such as foreign exchange rates, tax-equity markets, input costs, and global regulatory changes to assess risks that could be developing. Although the market has become much more geographically diverse over the past five years with many more countries accounting for demand, changes in major markets can still impact demand. For example, during 2014 questions around China’s demand and solar policies have created volatility in the stocks. 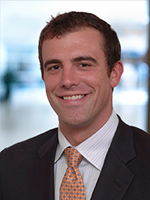 Ben Kallo, CFA, is Baird's Senior Research Analyst covering Energy Technology & Resources Management. A number of the companies on Kallo’s coverage list are scheduled to present at Baird’s 44th annual Industrial Conference, November 10-12 in Chicago, Ill.